NEW YORK – New York’s largest school districts are frequently failing to provide their highest-need schools with significantly greater levels of resources so that all students receive the support they need to succeed, according to a new online tool launched today by The Education Trust–New York. 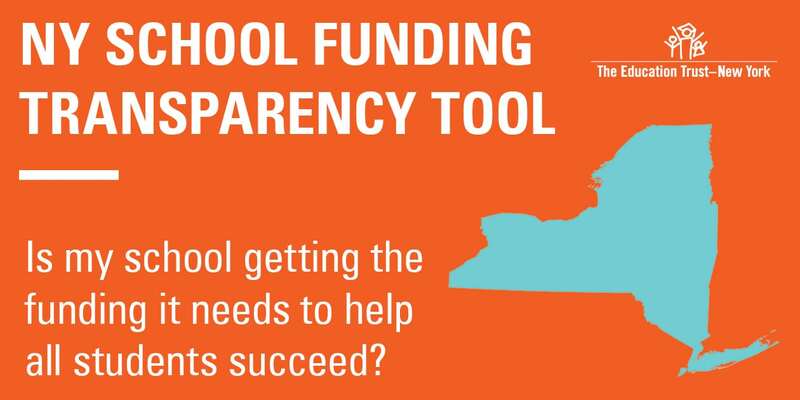 Using publicly available preliminary data from a new state law that requires 76 school districts to report their school-level budgets for the 2018-19 school year, the tool – available at nyschoolfunding.org – will allow users to learn for the first time how schools and districts allocate resources and whether low-income students, students with disabilities, and English language learners are receiving the resources they need to succeed. For every $100 per student invested by Yonkers in its lowest-need schools (where 47 percent of students are low-income), they are budgeting an average of $1 per student less in their highest-need schools (where 92 percent of students are low-income). For every $100 per student invested by Buffalo, Rochester, and Syracuse in their lowest-need schools, they are budgeting an average of just $4 per student more in their highest-need schools. (In Buffalo, 65 percent of students are low-income in the lowest-need schools and 90 percent of students are low-income in the highest-need schools; in Rochester, 82 percent of students are low-income in the lowest-need schools and 97 percent of students are low-income in the highest-need schools; and in Syracuse, 76 percent of students are low-income in the lowest-need schools and 97 percent of students are low-income in the highest-need schools). For every $100 per student invested by New York City in its lowest-need district-run schools (where 45 percent of students are low-income), they are budgeting an average of $15 per student more in their highest-need schools (where 96 percent of students are low-income). While more than the other Big 5 school districts, this amount does not adequately reflect the needs of students attending the city’s highest-need schools – where the percent of low-income students is more than double the rate in the lowest-need schools. 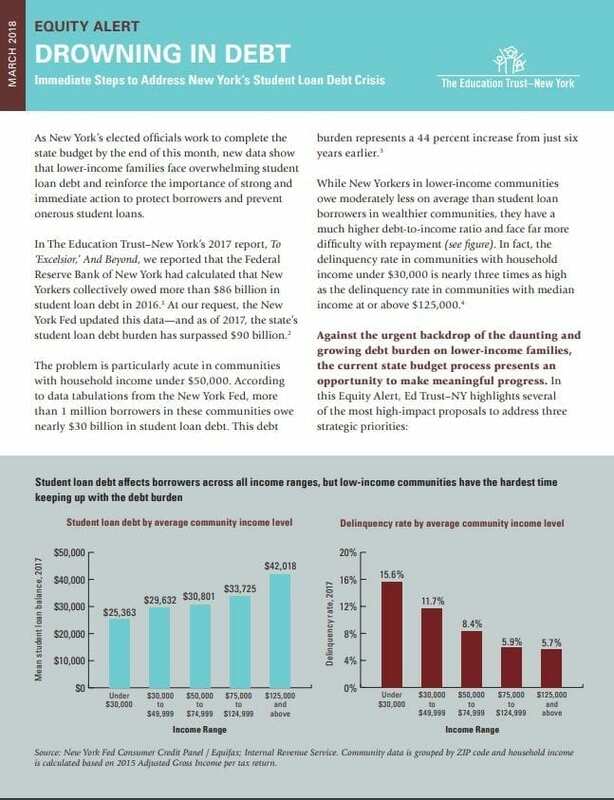 “This year is the first time that many school districts are publicly reporting their budgets at the school level, and we believe it should be an opportunity for district leaders to engage their community and prioritize the highest-need schools in the budget process,” said Rosenblum. The new state-collected data also reveal the proportion of new and experienced teachers assigned to each school for the 2018-19 school year. Research shows that teacher effectiveness is the most important in-school determinant of student success, and that teachers are generally more effective after they have a few years of experience. In Buffalo, 8 percent of teachers in the lowest-need elementary/middle schools are new – compared to 13 percent of teachers in the highest-need elementary/middle schools. In New York City, 15 percent of teachers in the lowest-need elementary/middle and high schools are new – compared to 23 percent of teachers in the highest-need elementary/middle schools and 26 percent of teachers in the highest-need high schools. In Rochester, 11 percent of teachers in the lowest-need high schools are new – compared to 19 percent of teachers in the highest-need high schools. In Syracuse, 12 percent of teachers in the lowest-need elementary/middle schools are new – compared to 25 percent of teachers in the highest-need elementary/middle schools. In Yonkers, 8 percent of teachers in the lowest-need elementary/middle schools are new – compared to 10 percent of teachers in the highest-need elementary/middle schools. 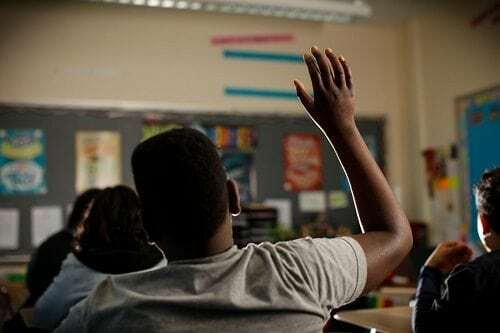 “While a teacher’s years of experience is only one of many important considerations, these findings should raise questions about whether school districts are assigning the strongest educators to the students who need them the most,” said Rosenblum. See the geographic distribution of school funding across New York State. The tool currently includes data from 44 school districts, and will be continuously updated as additional submissions are processed and new information comes in. All school districts will soon also be required by federal law to report on their school-level expenditures – providing even more information to parents and the public. All data included in the tool is currently under review by state officials and has not been approved. School districts may be asked to submit revised or completed budget data if they have not done so already, and the tool will be updated accordingly. 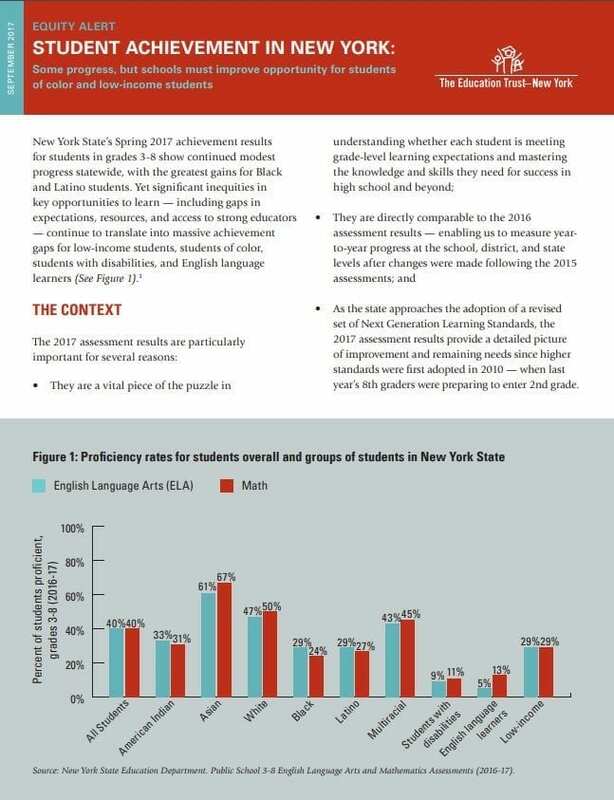 Learn more and explore the data at nyschoolfunding.org.